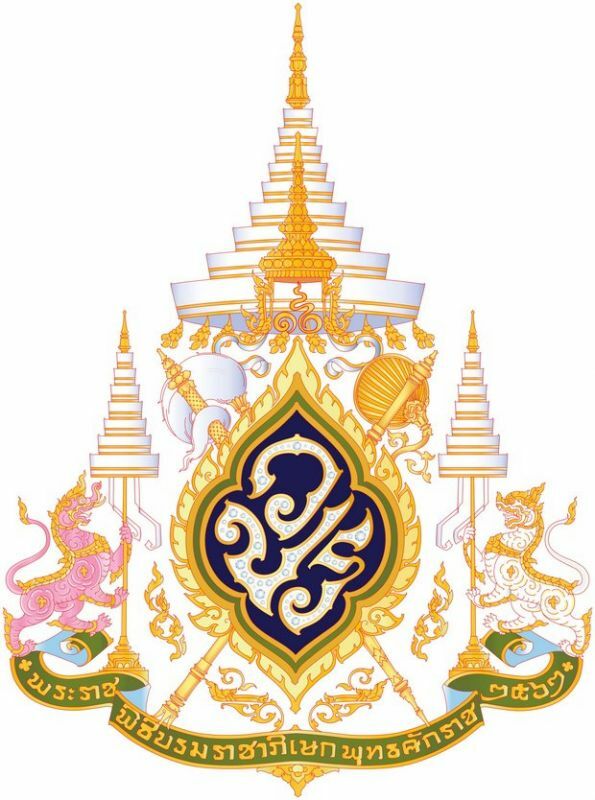 BANGKOK: The government has unveiled the official emblem, which will be used for His Majesty the King’s coronation in May. Yellow represents Monday, the King’s birthday. The cypher rests on a background of dark blue, the colour of kingship. The emblem (pictured) was presented at a news conference led by Deputy Prime Minister Wissanu Krea-ngam on Monday (Mar 11). Mr Wissanu is chairman of the government committee responsible for organising the coronation ceremonies. Mr Wissanu said the King had made his own adjustments to the emblem’s design. “State and public organisations are invited to set up an altar with the King’s photo and worship materials and display the emblem on buildings to show respect to the monarch,” the deputy premier said. Such displays should be made from March to May 4, he said. This emblem can be printed on various items, including shirts and caps, to show respect to the King. However, the public and organisations cannot use the royal emblem on breakable items such as glasses, glass bottles, plates, bowls, jars, spoons, bracelets, pendants or containers, Mr Wissanu said. Any state or public organisations that want to use the emblem can write to a committee in charge of screening emblem users to seek permission, he said. Such a request can be made from tomorrow until May 4, the deputy premier said. Criteria for approval can be found on www.opm.go.th. 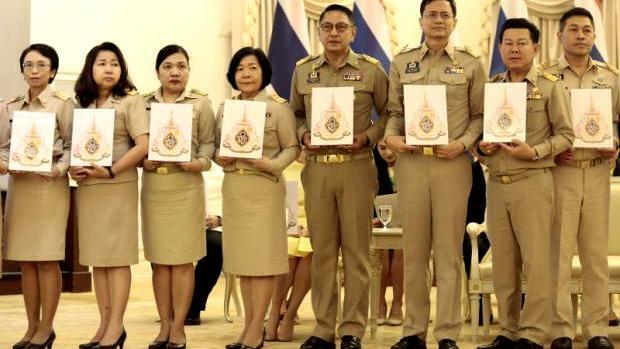 According to Mr Wissanu, the King also bestowed the design of commemorative badges bearing the royal emblem on the front and “Coronation Ceremony 2019” written on the back. The royal emblem has the royal cypher of His Majesty King Maha Vajiralongkorn, or “Wor Por Ror”, at the centre, which is surrounded by a gold frame, the colour (yellow) represents Monday, the King’s birthday. The cypher rests on a background of dark blue, the colour of kingship. Sales of the shirts and badges will begin at the end of this month.